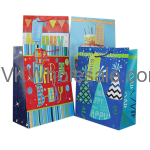 Wish Happy Birthday in style with elegant Happy Birthday gift bags. 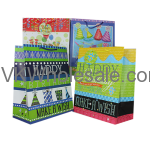 Buy Happy Birthday gift bags wholesale at lower price and stack up more profit. 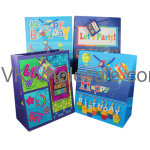 We carry different designs in Happy Birthday gift bags that can be perfect for your c-store, dollar store or gift shop. Minimum quantity for "Happy Birthday Gift Bags Glitter - Large 12 PC" is 1. Minimum quantity for "Happy Birthday Gift Bags Glitter Large 12 PC" is 1. 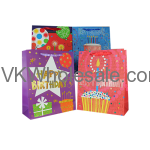 Minimum quantity for "Happy Birthday Gift Bags Gloss Finish Large 12 PC" is 1. Minimum quantity for "Happy Birthday Gift Bags Gloss Large 12 PC" is 1. 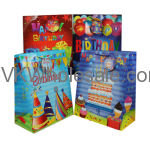 Minimum quantity for "Happy Birthday Gift Bags Glossy Finish Jumbo 12 PC" is 1. 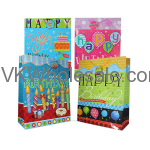 Minimum quantity for "Happy Birthday Gift Bags Glossy Jumbo 12 PC" is 1. Minimum quantity for "Happy Birthday Gift Bags Large 12 PC" is 1. Minimum quantity for "Happy Birthday Gift Bags W/Glitter - Medium 12 PC" is 1.